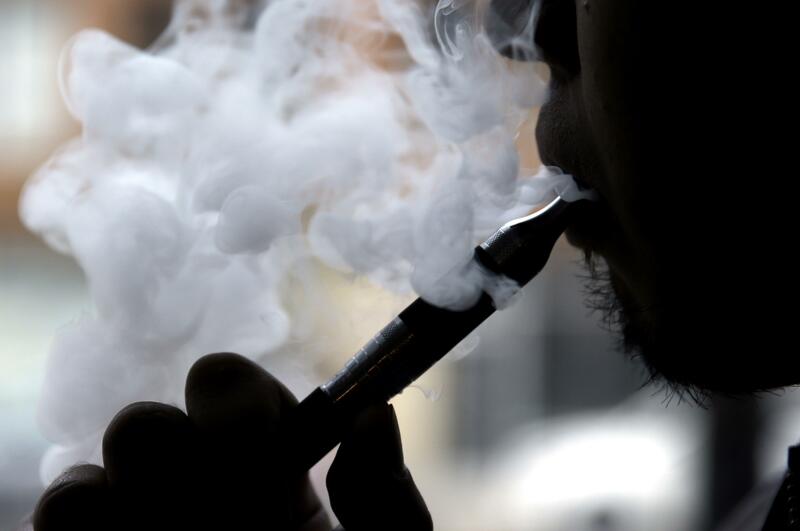 NEW YORK – Teen vaping, which has been skyrocketing, fell dramatically last year in the United States. A government survey released Thursday suggests the number of high school and middle school students using electronic cigarettes fell to 2.2 million last year, from 3 million the year before. Health officials have worried about the booming popularity of vaping products among kids and the potential impact on adult smoking rates in the future. “It certainly is a public health win,” said Brian King, an expert on smoking and health at the Centers for Disease Control and Prevention. It’s the first decline CDC has reported in teen vaping since the agency began tracking it in 2011. The findings echo a recent University of Michigan survey, which also detected a decline in 2016. It’s unclear why teen vaping fell last year, and it’s too soon to know if the numbers will continue to drop. One possibility may be a growing push to ban sale of e-cigarettes to minors, including a federal regulation that took effect in August. Another may be the influence of ad campaigns by the government and other organizations to discourage kids from smoking, the CDC said. E-cigarettes may also be losing their novelty among teens, said Matthew Farrelly, a tobacco control researcher at RTI International. Studies suggest many kids who vape use the products less often than kids who smoke cigarettes – a sign that vaping seems to be more social and experimental, some experts said. “These products were new and novel and now we’re starting to see that change,” said Robin Koval, president of Truth Initiative, a public health education organization that runs anti-tobacco ads. E-cigarettes are battery-powered devices that provide users with aerosol puffs that can contain nicotine. Research has found kids like to vape flavorings like strawberry and bubble gum, though often in nicotine-free versions. The CDC study is based on a questionnaire filled out annually by about 20,000 students in grades 6 through 12. It focused on “current users” – kids who said they had used a tobacco product within the 30 days before they answered the survey. It found an overall decline in use of vaping devices, traditional cigarettes and other tobacco products. Based on the survey responses, the CDC estimates that the number of middle and high school students using tobacco products fell to 3.9 million last year, from 4.7 million the year before. Adolescent cigarette smoking has been falling for many years, but the decline in e-cigarette and hookah use was more remarkable. In 2011, 1.5 percent of high school students said they’d recently vaped. That jumped to 16 percent in 2015, and it’s become more common than cigarette smoking. But it dropped to about 11 percent last year, the CDC said. For middle school students, about 5 percent said they’d recently vaped in 2015. That fell to about 4 percent last year, the study found. Published: June 16, 2017, 6:19 a.m.